Few other skincare products have garnered as many opposing views as toners have. There are those who swear by these water based formulations and those who consider them to be a needless addition to the ever burgeoning skincare routine. To add to the confusion, manufacturers are forever making lofty claims about these preparations. So, you have products that supposedly help to wipe away years of damage and wrinkles and others that help to soothe redness and blemishes. There are also formulations that promise to leave your skin cleaner, healthier and feeling refreshed while still others are offered with the promise that they will make your skin appear pore-less. For a regular Jane, it all comes down to one question – if I am spending my money on a product, will my skin actually benefit from it? Continue reading to find the answer to this and other questions you always had about toners. So, What Exactly Is A Toner? Initially, toners were all about an additional cleansing punch. So, whatever the cleanser could not do in terms of clarifying the skin, the toner would make amends and get the job done to perfection. So, most of these formulations were alcohol based and basically stripped the skin surface of all oils, giving users a squeaky clean feel. But that was a few decades ago! Today, toners still make up for the deficits of the cleanser but in a whole new way. The idea is simple – regardless of the type of cleanser you use, there will be some amount of residue left behind. We are not just talking about the grime and dead cells but also the oils and ingredients of the cleanser itself. Now, these too have to be removed from the skin surface for your serums and moisturizers to penetrate in. Well, this is where a toner comes into the picture. This product offers deep cleansing in the true sense of the term. Toners not only help to clarify the skin but also aid in maintaining dermal health. The best part is that modern day toners offer multiple benefits. So, this is no longer just a product to be used by those with oily or acne prone skin. In fact, I would go so far as to call it an essential step in the skincare regimen. What Is A Toner Meant To Do? The deep pore cleansing bit has already been mentioned. Apart from this, an extremely important function of a toner is to close or shrink pores that have been dilated by the cleanser. While a cleansing formula will no doubt remove the oil and dirt from the surface of the skin as well as the pores, its reach is limited. Toners cover the extra mile and go deeper to pull out the grime stuck in the pores. In doing so, they help to reduce the size of pores that are dilated because of the dirt trapped in them. The cooling, refreshed feel that most of us attribute to the use of toners serves an extremely important purpose. It draws blood to the skin, essentially improving blood circulation to the dermal cells and layers, which means they get more oxygen and nutrients and get healthier. Moreover, it also helps in the faster removal of metabolic waste from the cells. The natural pH of your skin is slightly acidic at around 5.5 (fyi, pH 7.0 is neutral). Maintaining the acid mantle of the skin is crucial as it provides an effective barrier against invading bacteria. However, depending on the ingredients, your cleanser may alter skin chemistry, leaving it open to attack. A toner will make up for this deficit by bringing the pH of the skin back in its safe and acidic range, thus boosting the protection available to the dermal cells. Frequent cleansing can dry the skin out but hot humid weather causes excess sweating and hyper secretion of sebum. This leads to a sticky feeling. So, the desire to wash your face clean can be almost too hard to resist. A toner can help to cleanse the skin without causing dehydration. The cleaner your skin is, the lower are the chances of a breakout. So a toner can actually protect your skin against summer pimples, which are a result of sweat, dirt and sunscreen clogging your pores. Because a toner is essentially a fluid based product, it supplies much needed hydration to the skin cells before the application of lipids in the form of a moisturizer. Cleansing and exfoliation can both be hard on the skin; a toner helps to soothe the irritation that is often experienced after these steps of the skincare routine. When you don’t feel like involving yourself in a complete cleansing routine or don’t have the time for it if your skin just does not feel up to it, a toner can help you to clean and refresh your skin in 2 minutes flat. Because a toner helps to keep the pores clean, it also indirectly helps in shrinking them. Moreover, the astringent effect of these products helps to lower the space in between the dermal cells. Simply put, dirt and pathogens get little room to penetrate into the dermal layers. In fact, a lot of toners are formulated to protect the skin against impurities and chemicals found even in tap water such as chlorine and certain minerals. While giving your skin a cool, clean and refreshed feeling, toners also help to moisturize the dermal layers because they often contain humectants that bind moisture close to the skin cells. If your peach fuzz is more like an adolescent beard which needs waxing, you may have had a few bouts of acne due to ingrown hair. A toner offers the simplest and most effective way to prevent these ungainly bumps from appearing. These formulations often contain alpha hydroxy acids that remove the dead cells from the surface of the skin and help to keep infection in check. 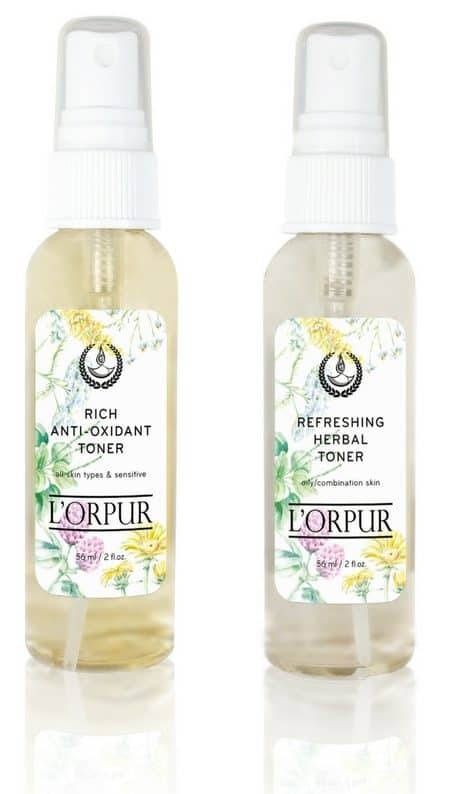 The 2 all-natural L’orpur Toners “Refreshing Herbal Toner” and “Rich Anti-Oxidant Toner” contain organic essential oils (jasmine oil, sandalwood oil, etc.) and herbal extracts specifically developed for Oily/Combination skin and All Skin Types/Sensitive skin respectively. What Are The Different Types Of Toners? Among the mildest formulations available, refreshers do a grand job of invigorating tired and clogged skin, while cleaning the pores and offering the cells much needed hydration. These alcohol free preparations usually contain humectants, floral waters and nutrients that quickly get absorbed into the dermal cells. The humectants in the formula help to make moisture readily available by storing and holding it close to the skin cells. Depending on the ingredients used, your skin may feel cool, plumped and refreshed after the application of these formulations but you may not get the tight, pulled feeling usually associated with the use of astringents. In terms of strength, these toners are right in the middle of the scale. They contain a bit over 10% alcohol along with herbal extracts and humectants. They are formulated to deliver a range of benefits, from cleansing to hydration and from oil control to antioxidant protection. The cool tingling and pulled effects linked with astringent products will be felt to some extent after the use of a skin tonic. These products boast of both hydrating and energizing properties. These are the strongest products available in the category, with an alcohol content of more than 20%. Now, it would be wrong to assume that alcohol is bad for the skin per se. In fact, this ingredient offers an effective, affordable and safe way to prevent dermal infections. Yes, alcohol based products can cause some amount of dryness but how they impact your skin depends on the percentage of alcohol used in the formula as well as the skin type on which these preparations are used. Simply put, as long as you use the right amount of alcohol for your skin type, you will have nothing to worry about. That said, astringents are fantastic when you are battling open pores and zits. They help to curb the production of sebum and the resultant oily, sticky feel. They also do a grand job of keeping the pores clean and closed. Depending on your skin type and dermal issues, astringents can be used as spot treatments or all over your face. Picking The Best Toner For Your Skin Type! If you have dry skin, you sure are not a stranger to the pulled taut feeling experienced after cleansing and washing. For this type of skin, you need a toner that will soothe, hydrate and moisturize. So, stay away from astringent products that have alcohol content of more than 10%. Your best net would be a toner with lipid content and soothing fluids, such as those that contain floral waters, essential oils, humectants and other botanical extracts. Such preparations will offer nourishment and hydration when your skin needs it the most, while prepping it for the big meal (moisturizer or serum) that is to follow. A refresher or bracer is a toner that works for dry and dehydrated skin and is also well suited to deal with the idiosyncrasies of sensitive skin. 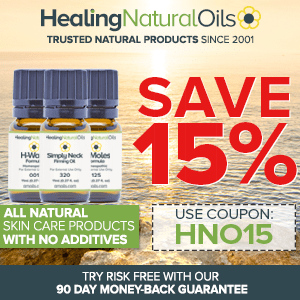 In fact, often hydrating and soothing toners contain essential oils that prevent dermatitis. If you have sensitive skin, make sure to strictly pick a “no-alcohol” product. Preparations that contain witch hazel and extracts of lavender/rose/sandalwood are very effective on sensitive skin. A tonic works best for these skin types since it deals with dirty and dilated pores as well as hydrates and nourishes the skin without overtly impacting the secretion of sebum. Often, tonics contain fruit based hydroxy acids that boost the production of collagen and botanicals that offer protection against pollutants and external factors. Astringents work exceptionally well for these types of skin as they help to deep cleanse the pores and aid in lowering sebum levels. Plus, they have strong disinfectant properties, which helps to prevent acne. Astringent toners specifically meant for acne prone skin often contain salicylic acid, which is known to both treat and control zits. Moreover, astringent products contain active ingredients that dramatically reduce pore size, which also helps in preventing pimples. Additionally, the cool and clean feeling that these toners offer comes as a relief after hours of grimy stickiness that is often experienced by those with oily skin. Remember to also choose your skin toner based on the weather and its impact on your skin. For instance, combination and even normal skin can get oily in summer. So, pick a gentle astringent for those warm months. On the other hands, normal and sensitive skin may become dry and dehydrated in winter months, so go for a hydrating and moisturizing toner to deal with the frigid weather. How And When Should You Use A Toner? Soak some cotton wool with the toner and dab it on your face. If you have exfoliated your skin, it is best to use a soothing and hydrating toner as opposed to an astringent product, which may cause further irritation and redness. If you have just cleansed your skin, use a tonic or an astringent depending on the oiliness of your skin. In this case, you can swipe the soaked cotton wool all over your face. Cover all areas of your face but do not apply astringent toners around the eyes. Do remember to not only treat your face but also your neck and décolletage with the toner. Allow the toner to dry on your face and while your skin is ever so slightly damp, go ahead and use your serum or moisturizing product. If using a toner in the morning in place of a cleanser, simply soak a ball of cotton wool or a cotton pad with the toner and swipe it all over your face, concentrating on oily areas such as the T-zone. A Few Things You Need To Know Before Buying And Using Your Toner! An expensive toner is not necessarily a good toner; instead pick a product that suits your skin type and conditions. Do not use toners with more than 20% alcohol content unless you have very oily skin. Even then, don’t use such products more than once a day. If you have medium oily skin, couple a mild cleanser with a medium astringent toner to get cleansing and pimple control without the dryness. To enhance the refreshing and cool feel offered by your toner, store it in the refrigerator. For dull skin, toners with caffeic acid work exceptionally well. The best part is that you can also use these to control under eye puffiness. Do not apply a toner with tissue paper instead of cotton wool as you would lose a lot of active ingredients in the process. Anything I did not cover or you have any question, simply hit me with an email and I’ll personally reply. If You Don’t Know Your Skin Type, All Skincare Products Can Be Dangerous! If I make my own toner with EO’s what should I use as the base? There are a lot of options when it comes to the base for a toner. The main ingredient is of course water, but it depends on what exactly you are trying to do with the toner, i.e. use it for oily skin, dry skin, etc. A toner generally consists of distilled water with herbs (thyme, rosemary, etc.) / honey / ACV / witch hazel / aloe vera / rosewater / fruits (lemon, grapefruit, etc.) / green tea / rooibos tea (steep couple of teabags in hot water, let it cool, etc.). Once you have your mixture, add in the essential oils (frankincense, tea tree, cedarwood, chamomile, sandalwood, geranium, juniper, etc.) as necessary. All the best! I have used a toner, and lately alcohol free (Decleor), for close on 60 years but lately ended up with outbreaks of dermatitis either side of my nose. Cortisone ointments never cured it and eventually the dr sent me to a dermatologist who diagnosed that I had a sensitive skin and that it was the toner that was causing the problem. After months of following his regime he sent me for laserderm to rid me of the veins that would eventually start the problem all over again. My skin is clearing so I will keep off toner but I do find that only the cleanser does not clean sufficiently deep enough and there is always make up left on the towel. That is part of the reason I developed my own skincare range – due to the fact that the commercial products are loaded with toxic junk and long term use of those can have a devastating effect on the skin. My skincare range is all-natural, suited to each skin types and provide benefits as described without the commercial hype that you’ll look like you are in your twenties the next day. 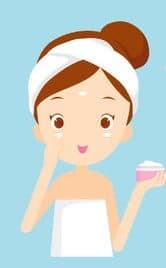 You’ll need a cleanser for sensitive skin that does not strip, yet cleanses effectively, perhaps look for another option as it does not appear the one you are using is doing the job. Olivia, I love reading your posts! Thanks for all the information. I’ve been slowly changing over my skincare to healthier products with fewer chemicals. I’ve been using beauty counter and so far I have a Day time moisturizer, night time moisturizer, exfoliater with jojoba beads (twice a week), a cream cleanser with witch hazel, and eye cream. I’m still getting very very oily when I wake up and throughout the day so I was considering the toner products…this one has charcoal in it. What do you think about that as I have heard so many contradictions about charcoal. They also have matching treatment oil that goes with it that has ylang ylang and chamomile and some other stuff. Here is the link for the toner. Thank you! You are right, charcoal can work well and clean pores and remove excess sebum, leaving your skin feeling cleansed. However, for some people it does just the reverse and causes your skin to turn even more oily. This seems to be the exact scenario for some people who have used the No. 3 Balancing Facial Mist. I would perhaps give it a miss as it seems to be pretty expensive as well and may not help as much in your case. Are you using skincare specifically to combat your oily skin, i.e. the day time, night time, exfoliator products, etc. 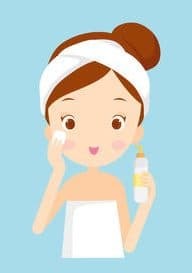 It is important that you use skincare specifically for oily skin as it seems your skin is not reacting well to the products you are currently using (being stimulated too much and producing even more oil). I would stop with the exfoliator for now. Do you incorporate a face mask into your routine? Stay tuned and I’ll have the moisturizer for oily skin launched tonight followed by eye cream, etc. You can use the essential oils of rose, patchouli, helichrysum, sandalwood, chamomile, jasmine amongst others. Hi Olivia, this is a great article but I was wondering if age plays any part in which proudut to use or is it really dependent on skin type? Actually, I would say that both factors are important in determining which product(s) to use. I will have skincare routine for different age groups in upcoming posts. Hi Olivia exactly what I needed for my oiliness. Beautifully written by the way..how to buy?? Sure, simply click on the l’orpur image or add to cart to make a purchase.